The Sketchbook Project asks artists of all levels to complete a small book with ideas, drawings and sketches. I recently completed my sketchbook and below a preview page can be seen. 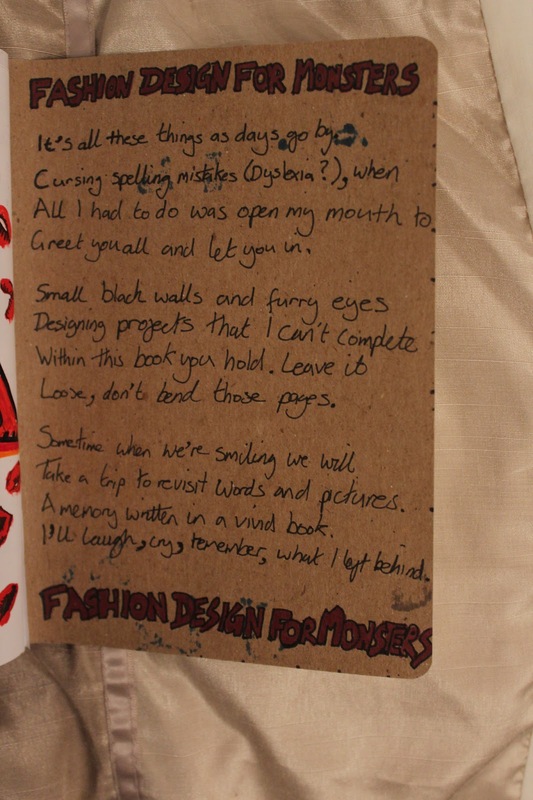 My book is called ‘Fashion Design For Monsters’. The page below is the inside back cover.